Cell Cycle Checkpoints and Apoptosis: Potential for Improving Radiation Therapy. Structure and Function of Interleukin-1B Converting Enzyme. The Role of IGF-I Receptor in Apoptosis. BCL-2 Family of Proteins and the Hormonal Control of Cell Life and Death in Normalcy and Neoplasia. Pathways of P53-Dependent Apoptosis. Viral Inhibitors of Apoptosis. Chapter References. Subject Index. 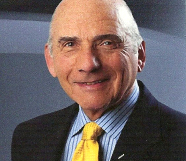 Cell death is one of the fundamental processes by which normal development is modulated, and the importance of both necrosis and apoptosis in a number of pathologies has generated intense interest from researchers in many fields. 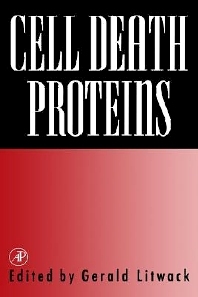 This timely book covers both the proteins that are produced by dying cells and the proteins that signal cells to initiate cell death. Cell Death Proteins provides an overview of the explosive interest in cellular death. Six review papers, written by researchers at the forefront of this rapidly moving field, focus on proteins that promote, signal, and inhibit cell death. Major players involved in the cell death cascade and its controls are covered, including cell cycle checkpoints, the function of interleukin-1J converting enzyme, the role of IGF-I receptor, the Bcl-2 family of proteins, viral inhibitors of apoptosis, and p53-dependent apoptosis.